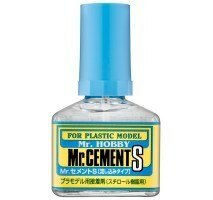 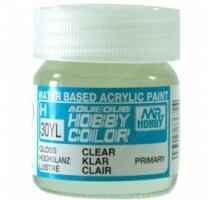 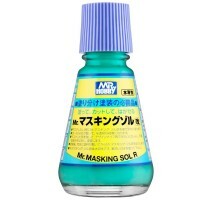 Aqueous Hobby Color • Manufacturer - Mr. Hobby / GSI Creos (former Gunze Sangyo) • Thinning instructions: We highly recommend using the Aqueous Hobby Color Thinner • Mr. Hobby Color paints are water- soluble, non-toxic and safe for use water- based a..
Aqueous Hobby Color • Manufacturer - Mr. Hobby / GSI Creos (former Gunze Sangyo) • Thinning instructions: We highly recommend using the Aqueous Hobby Color Thinner • Mr. Hobby Color paints are water- soluble, non-toxic and safe for use water- ba..
Masking Sol R (20 ml)..
Mr. Surfacer 1000 - Grey Primer, 40 mlRecommended thinner/cleaner - Mr. 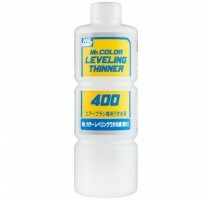 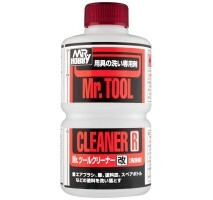 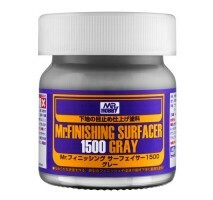 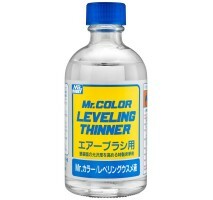 Leveling Thinner..
Mr. Surfacer 500 Grey Primer, 40 mlRecommended thinner/cleaner - Mr Leveling Thinner..
Finishing Surfacer 1500 Black Primer, 40 mlRecommended thinner/cleaner - Mr Leveling Thinner..
Finishing Surfacer 1500 gray primer , 40 mlRecommended thinner/cleaner - Mr Leveling Thinner..
Mr. Finishing Surfacer 1500 White (40ml) Mr. FINISHING SURFACER provides a smooth finish on the surface of parts and does not easily fill in moulded areas. 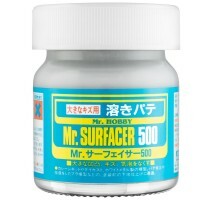 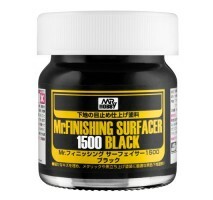 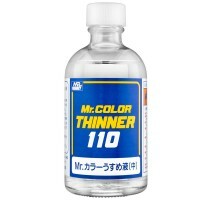 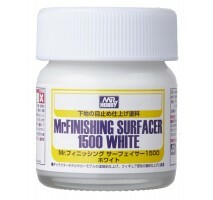 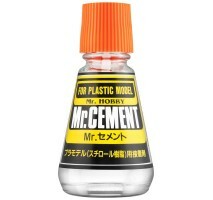 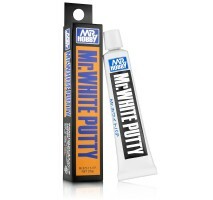 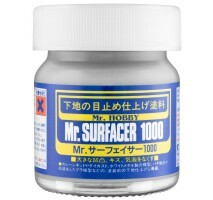 The white FINISHING SURFACER released this time is most suitable for final finishing before pa..
Mr. Color Thinner Thinner for Mr. Hobby paints and varnishes..
Mr Color Leveling Thinner, 110 ml..
Mr Color Leveling Thinner, 400 ml..